Qila Rai Pithora, also known as Rai Pithora's Fort, was a fortified city built in the 12th century by Chauhan king, Prithviraj Chauhan. Chauhan Rajputs had taken over the city of Delhi, from Tomar Rajputs. It also incorporated, much older Lal Kot built earlier by 8th-century Tomar Rajput ruler, Anang Pal I. Qila is a Persian word meaning a fort or castle. At that time it was either called Durg or Garh Rai Pithora. Durg and Garh are a Sanskrit words meaning Fort and/or citadel. It was from the fort that the Tomar, Chauhan and the Slave Dynasty ruled over Delhi from 12th to 13th century. 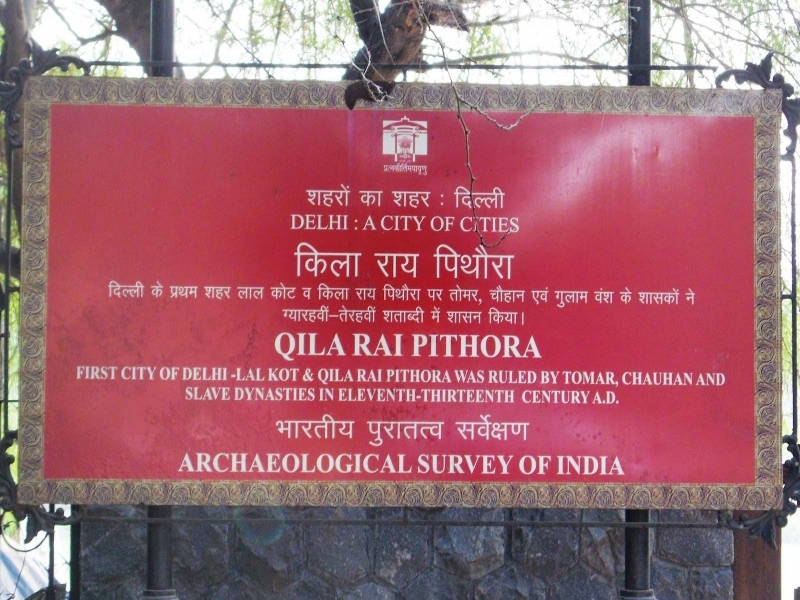 Remains of the fort walls are scattered across South Delhi, visible in present Saket, Mehrauli around Qutb complex, Kishangarh and Vasant Kunj areas. Been to Quila Rai Pithora ? Share your experiences!